The West knows him as “the Ayatollah”, although the veracity of the religious title is debatable. So is the way the ruling system has tailored it. Who is this so-called ayatollah? Here, we discuss his exalted position with Dr Kazem Alamdari, a sociology professor at California State University. But first, let’s look at a few facts. Iran’s Supreme Leader, Ali Hosseini Khamenei, stands above its head of state, its judiciary and the legislature – the three foremost branches of power. A 74-year-old cleric, therefore, is the top figure… in a country that plays such an important role in the Middle East. Commander of the armed forces, he appoints all its military chiefs. The authority to declare war or call a referendum rests with him. Khamenei succeeded Khomeini, who led the 1979 Revolution. His duties have included appointing the heads of the Judiciary and the state media apparatus, and also half the members of the Guardian Council – those overseeing Islamic jurisprudence. This Council checks new laws passed by the parliament, and vets presidential and parliamentary candidates. Khamenei doesn’t have to charismatic, and he isn’t seen that way by the many protesters who have destroyed the top political figure’s portrait in the streets of the capital, shouting: “Down with the Dictator!” – at the risk (women included) of being clubbed over the head by security forces wielding batons. Iran’s leader branded the widespread protests over the result of the previous, 2009, presidential elections as “sedition”. Two of the candidates of those polls, Mirhossein Moussavi and Mehdi Karoubi, are still under house arrest. The unwritten punishment for criticizing the leader of the Islamic Republic can include anything from temporary detention to being killed – ‘physical removal’ is a term in vogue now. In 1997, a German court held Khamenei and then-President Akbar Hashemi-Rafsanjani responsible for the assassination in 1992 of three opposition member in Berlin. 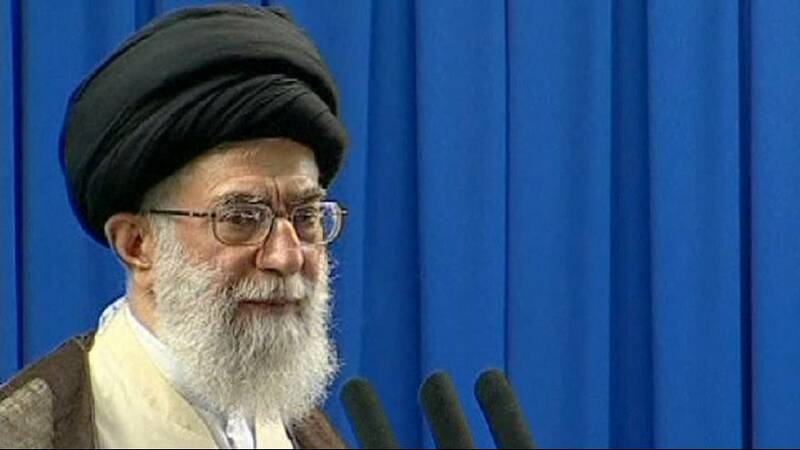 Khamenei describes himself as a revolutionary. He has said he is not a diplomat, but many signs point to his office as the place where all matters of supreme importance are decided, such as policy on relations with the United States and Iran’s nuclear activities.